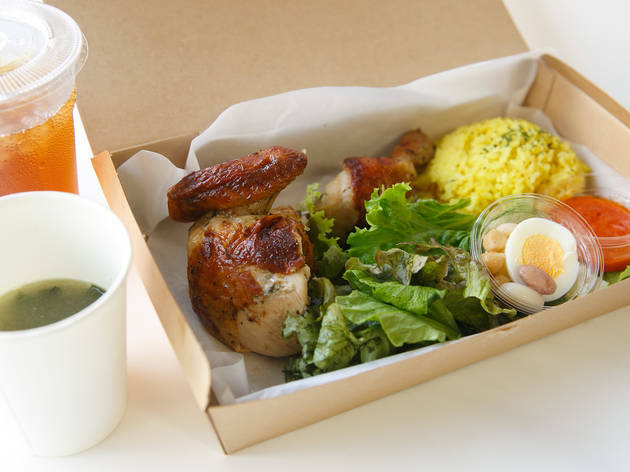 Finding perfectly crispy roast chicken in Tokyo can be a challenge, but Alze more than lives up to the name. 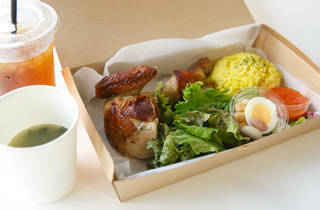 We tried out their food delivery service and the lunchbox – which included chicken, salad, bread or rice, soup and a drink – was huge and could easily be shared by two. The star, of course, was the chicken: roasted but still tender, with a layer of slightly crispy skin. Evening options include a quarter, half or whole roast chicken, all served with roast potatoes.